Store and transport up to a 1/2 bale of hay with no mess in the trailer tack room or car trunk. 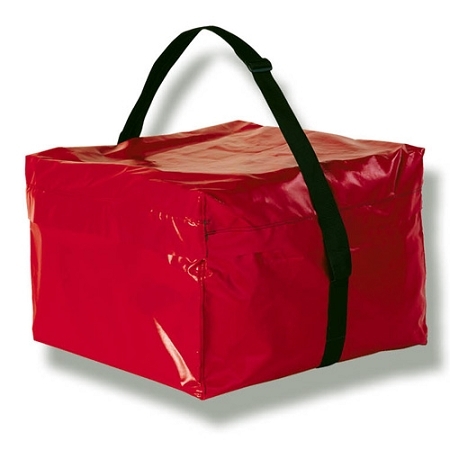 This bag zips on three sides like a lid, so you can fit it over the hay, roll it over & zip it up. The heavy-duty vinyl construction with heavy-duty zipper are extremely durable and waterproof, and we think it is the best-constructed 1/2 hay bale bag available. Also ideal for protecting a saddle, show clothes or other horse gear. Clean with a water hose & hang to dry.